People expect me to like Melissa and Doug. They feel more environmentally-friendly, because they are made of wood and just have a homey feel. They seem like a way greener option than anything else you can find in a mainstream toy section. Maybe they used to have some redeeming qualities, but when you look closely now, things are pretty sketchy. This company "based out of Conneticut" peddles off Made in Poverty, not always well-made junk as just the opposite- healthy, earthy, even good. They want you to think their toys are better than the run of the mill junky toys, therefore worth more money. They market themselves off as Made in America (even somehow being littered through the Made in America toy section on Amazon) and that perception is pervasive enough that people often think I would like them. But I just so don't. In some ways, I prefer Fisher Price over this company, because at least they are being honest about who they are (check out their attempt at "wood toys"- they are so bad at not using plastic, it is cute). It just makes me mad when you feel like you are finally doing something good, and really you have just been deceived. I can totally see why people would love the brand and have plenty of Melissa and Doug toys at their house (I think we have one ourselves), but it makes me angry that the image of this brand is essentially a deception. We are all trying our best, and it is hard enough to do right by our kids and the environment as it is. Melissa and Doug used to have a good reputation (in the late 80's and early 90's) and coast on that positive association. This toy company has already run into a bit of trouble for their lack of standards, and I am willing to bet they have more lawsuits in their future, because deceptive and cheap doesn't make for a great long game. In 2012, they got in trouble with immigration for not documenting their employees (so taking advantage of people). There are documented problems with the paint on them, and I bet the news will get worse on that with time. Every Melissa and Doug toy I have seen or researched is Made in China, so I am not sure what happened to the American employees they suggest comprise the majority of the company. What makes me even madder? I feel like they love to live right on the line of plagarizing other more ethical, less mainstream toy designs. It's interesting just how often their design ideas seem to creep on other wood toy makers, almost all of whom have better labor and ethical standards. This is the kind of ugly nonsense that drives good companies off the market, because they take their idea and lower the price.You know how you take a good idea and make it cheaper? You steal an idea someone else worked hard on. You ship your labor to China or somewhere where you can treat people badly. You use cheap and unethical materials. You waste fossil fuels schlepping it back here. You jack up the price as if it isn't cheap junk. You see this kind of thing again and again. The good news attached to this is that you can find pretty direct switches away from many of the Melissa and Doug products. They make about a million products (never a good sign- if you want to do something well, you usually aren't doing that many different things), so I can't point to a replacement for every thing, but here is a place to start. If you want to buy a child in your life something special, you still can! Just not from Melissa and Doug. This blog does have affiliate links for Amazon and Etsy (though the M&D toys are not, because a well-reasoned reader pointed out that isn't cool). That said, smaller toy stores all over the country are fighting to survive. Shop there! YES. So many of the toys Melissa and Doug sells- puzzles, toy animals like snakes, play food can be found in lots of consignment stores. We didn't buy the Melissa and Doug bead maze; we got the Plan Toys bead maze for less than five dollars at Goodwill. Probably 4 out of every 5 toys that we bring into the house was bought used or gifted on Buy Nothing. They grow out of things so fast, and they mostly don't care, so why not save a toy from the landfill and get used toys instead? I wouldn't have expected a day when I recommend plastic over wood, but Green Toys is a national treasure. Made in the USA with green energy, these toys are made of recycled plastic (milk jugs mostly).Don't buy the Melissa and Doug versions- you can get Green Toys cars, play food, and all kinds of planes, boats, and vehicles (this airplane is The Bub's favorite). 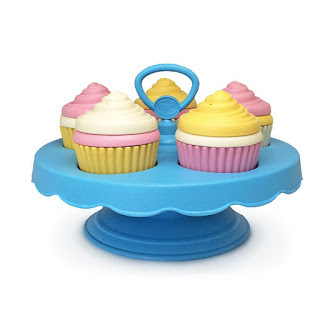 Melissa and Doug make lots of play food that is cute with really fun details. Again, so do lots of people. You can get fair trade vegetables from Under the Nile or more ethical (but still made abroad) wooden food from Plan Toys. This company, based out of Vermont, sells some of the favorite toys in the whole house. Instead of getting the Melissa and Doug shape sorter, we have this Maple Landmark sorter and it is awesome. Absolutely beloved by our kid, because it combines sorting shapes with putting things in and taking things out (one of his favorite pass times. Yeah, the design is a little dorky, but he doesn't mind, and Maple Landmark consistently makes great toys right here. Maple Landmark is an American gem, so if you want wood toys, I say start there. Another great toy from them? 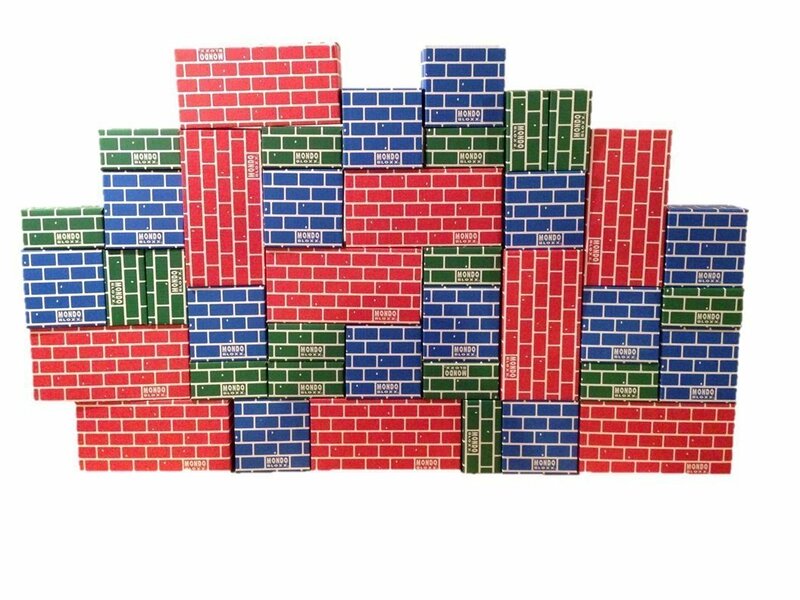 This shape stacker. I love that it is even colored with an eco-friendly (and kid-friendly) water-based dye. Need even more? They sell better wooden cars than Melissa and Doug as well. Large cardboard blocks. Melissa and Doug recently put out a nearly identical set (with fewer blocks), but Mondo Bloxx is the way to go. Extremely popular in our house right now, and anything that is both made of cardboard and can survive my son is pretty impressive in my book. Melissa and Doug have their own alphabet blocks, but none come close to Uncle Goose blocks. These are what all the other blocks wish they could be. 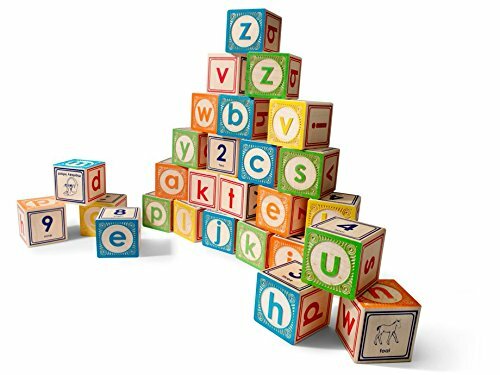 I love the alphabet blocks, but we got the nursery rhyme blocks, which really help to remember those nursery rhymes you inevitably forgot. You can also get them in different languages if you kid is fancy and bilingual. One of my favorite Made in America toy companies out there. For a fair trade block option, try out Tegu Magnetic Blocks. Want some more quick switch overs? Again, start used, and it will save you a lot of money, but if you want to get something special, you can buy it American as well! Etsy has everything, and most of these stores aren't shisters. Eat that Melissa! Eat that Doug! You guys are the WORST! Melissa and Doug are totally ubiquitous now. The Bub has received some of their toys as gifts, and they are pretty good toys, but they aren't as great as their reputation suggests. I get that your kid will get them as gifts, and I am not suggesting you throw them out or in the gifters faces. But when you shop, you have a choice and this is an opportunity to make a good one. And your choices will contribute to how our country's economy shifts in our lifetime. Wouldn't you rather you child come into an economy with more jobs, not fewer? That means, it is time to support the companies brands like Melissa and Doug rip off and to stop giving "Made in Elsewhere" toys your money! You can do this! If you want a huge list of awesome eco-friendly and ethically-made toys, check out our Giant List of Stocking Stuffers. Want more shopping ideas for kids and life? Eco-friendly options for everything for your kids? I have TONS of ideas, cool brands, and simple switches. 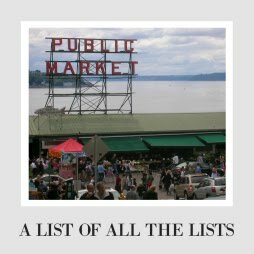 Check out the Giant List of Shopping Lists! I agree! I love beautiful wooden toys and hate Melissa and Doug toys. I find them cheap and gaudy. Glad to know I'm not alone. They are terrible. And it really drives me nuts that they are so good at marketing themselves as wholesome. People assume I love them and it is the opposite! So glad to have come across this incredibly honest review (including citations and examples). I will NEVER again buy any of their overpriced (for junky) toys! Thanks for the skinny on this company. Thanks for reading and please share if you think it will help others! I know their toys seem like a good option unless people read up on it. Our toddler got two nuts and bolts construction kits for Christmas. The quality was awful. They sent replacements and they are just as bad. But I cannot find an alternative product for this classic toy... Any leads? I used to sell wooden toys many years ago. Most were European or by some of the manufacturers you mention here (i.e. Holgate). But I did sell some M&D. Let me tell you something about M&D. They are incredibly unethical. Ever heard of "channel stuffing?" It's when you ship product to your retailers when they haven't ordered it and insist that they keep it. And keep "forgetting" to pick it up for return. What it does for M&D is increase their sales figures at the expense of small business owners. Not okay. They also will "forget" to credit your account for the returned product. Really awful people. Whoa!!! I want to say I am shocked... but I am not at all. They are so sketchy. Hopefully we can get the word out! I didn't know this. Thank you for sharing your research. I'll have to learn more about my children's toys. Wow! I had no idea about Melissa and Doug. I'll be sure to shop other brands in the future! I absolutely agree! 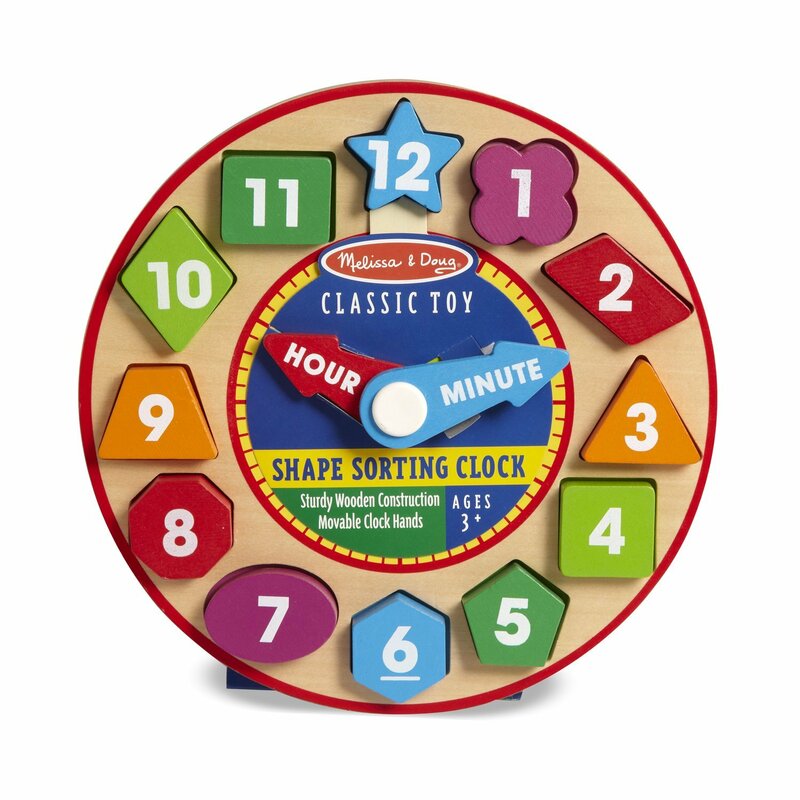 I liked Melissa and Doug toys when I first saw them, but then started to wonder about the vast variety of toys they produce. Things can't be that good quality when you make so many of them! I will have to save this post so that I can try out some of these brands! Right? You can't do that many things well. You will have to let me know if you find other good ones! I had NO IDEA and I am so glad I read your blog post! I will never buy another Melissa & Doug toy again. Seriously, so glad I read this! I am glad you read it too! 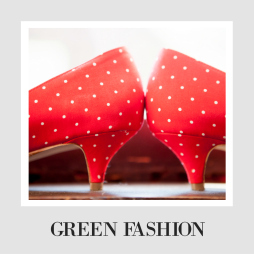 The more people who know and support more green companies, the better! This is SO TRUE! 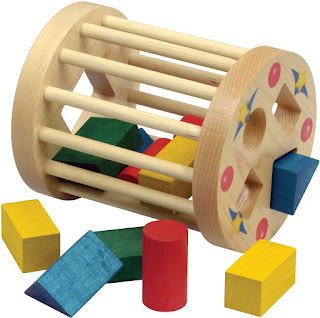 I have a 16-month-old and I had never heard of Melissa and Doug until a few months ago when I randomly bought one of their wooden shape sorters. I unwrapped it and immediately noticed how rough it was! Like I wanted to take some sandpaper to it to smooth it out so my daughter wouldn't get splinters! I returned it and vowed never to buy that brand again. Glad I'm not the only one. Very interesting article. I've loved all of our Melissa & Doug toys! I'm a toy fanatic, so I also really love brands like Green Toys and Hape. I can definitely appreciate this honest review! I have purchased one Melissa and Doug puzzle and I was highly disappointed. Thanks for this post and suggestions! Wow! I really had never heard any of these negatives. And I agree that buying used toys is so economical and beneficial! I hate Melissa and Doug toys because they do everything they can to stifle and destroy creativity and imagination. How do kids not cry when they open a 6-piece broom and mop set on Christmas morning? Melissa and Doug seem to be the way way to know for certain that your parents hate you. Also if your parents serve you La Croix. Yes! I didn't realize they were nearly this unethical, but I've always gotten an iffy vibe from them. Besides the "Made in the USA" but not at all nonsense, they're also notorious for the boy/girl colored crayons. (This is necessary? https://www.amazon.com/Melissa-Doug-Princess-Crayon-Set/dp/B004IG8B94) At the same time, I have many of the same problems with a lot of the "natural" kids' companies like Hape, although they don't seem quite as bad. There are a few Melissa and Doug things we have, just because people bought them for us or I had a lot of difficulty finding alternatives. I wish I could find a good, wooden railroad or non-pink dollhouse that isn't hideously expensive ($150+ when I looked, although it looks like there's a bigger variety available now), but those two things seem to be very challenging to find at a reasonable price. I definitely agree with you! I bought some M&D toys when I had my son from Home Goods and TJ Maxx, but wasn't really impressed with the bright colors and low quality. I just made sure my son didn't put them in his mouth. 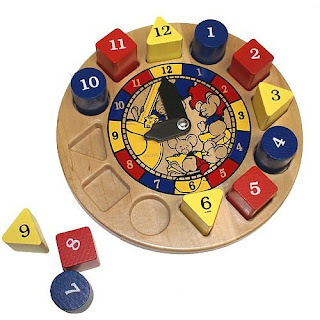 I then did my research and have only bought European wooden toys or thrifted wooden non-colored toys since then. I have also replaced all the M&D wooden toys I bought for my son with heirloom quality European brands. I laugh whenever I go to the store now and all I see is M&D. Brands I buy now are Wooden Story, Grimms and some properly Made in the USA toys. Shame on M&D. I don't know Malissa and Doug toys at all. For my children, I will learn more and pay attention to them in the future. I really appreciate this review, and agree with you wholeheartedly. There are SO MANY great ethically made, creativity inspiring toys out there, and used and rented are always a great option. I do however, take issue with the affiliate marketing of the Melissa & Doug toys that you are using in this article. When I got to the list of better toys, and found that you are potentially making money if your readers click and buy Melissa & Doug toys, it seems as if you are at once criticizing the brand and also profiting from it. I understand how hard it is to run a blog, I just question this practice. Jessica, I really appreciate your thoughts and had honestly never thought of that before! I am just in the habit of putting those links in, and did not think critically enough about where I use them. I encourage my readers in every post not to actually shop from Amazon (to shop locally instead). I make so little money off the links (and, let's be honest, the blog as a whole) that I have never thought very much about it, but I have changed the links now and will be more thoughtful about how and where I use affiliate links in the future.